For information on how to sell your logs, please contact John Blodgett at 541-430-0218, or email John below. We buy Douglas Fir, Hemlock, Lodgepole Pine, Ponderosa Pine, White Fir, Grand Fir and Noble Fir. Timber (or logs) is typically sold in one of three ways: Delivered Log, Timber Deed or Land and Timber. A delivered log is the most common way to sell your logs to Douglas County Forest Products. The landowner is responsible for hiring the logger and arranging trucking. Douglas County Forest Products will mail you a “Purchase Order” that contains the monthly prices, cutting specifications, and IRS reporting information. The logs are delivered to the mill, scaled by a third party, and payment is mailed on the 10th and 25th of each month. All of our logs are scaled by Mountain Western Log Scaling and Grading Bureau. A timber deed allows the landowner to sell the “title” of the standing timber to the mill. Typically 3 years in length, a timber deed is a good hands-off approach for the landowner that is not familiar with hiring loggers and log truckers. To sell a timber deed, DCFP will first cruise the timber to determine the volume. A title report will be generated at the title company to guarantee clear title to the timber. A contract (the timber deed) will be drawn up between Douglas County Forest Products and the landowner that describes the terms and conditions, like payment, duration of the contract, replanting obligation, and road maintenance. Once both parties have signed the timber deed, the title changes hand via escrow, similar to a normal land sale. As a rule of thumb, a timber deed will typically need to have a minimum of 80 loads of logs to justify the added expense of the contract and escrow. A land and timber sale is simply the sale of your land and timber to the mill. This is the most common way for families to liquidate property that has been inherited, or for out of state owners that are unable to manage their property. Similar to a timber deed, a cruise will need to be performed by the mill to determine the volume of timber. The title company will check for clear title, and title passes though escrow upon transfer of funds. 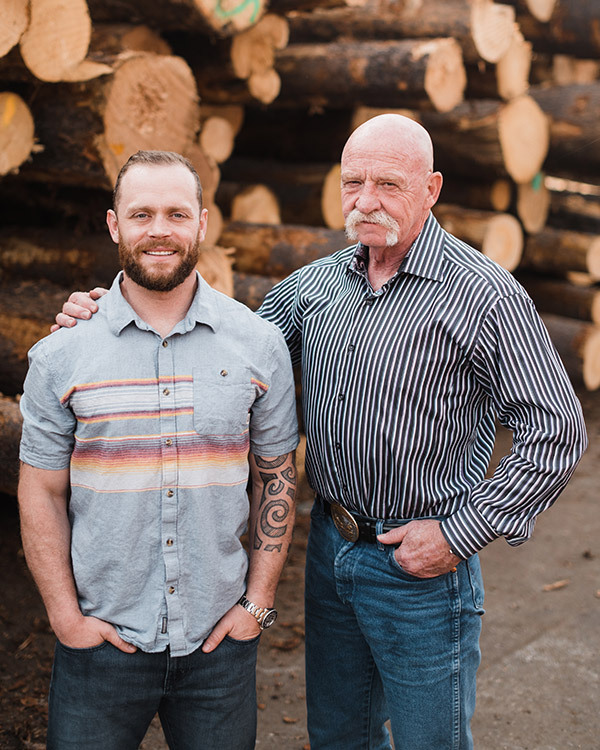 Douglas County Forest Products is unique in that we are comfortable and familiar with all 3 methods of buying timber. We are often approached by landowners with unique requests that many large corporate mills are unable to fulfill. For further information on how to sell your logs, please contact John Blodgett at 541-430-0218, or email John at blodgett.mail@gmail.com.